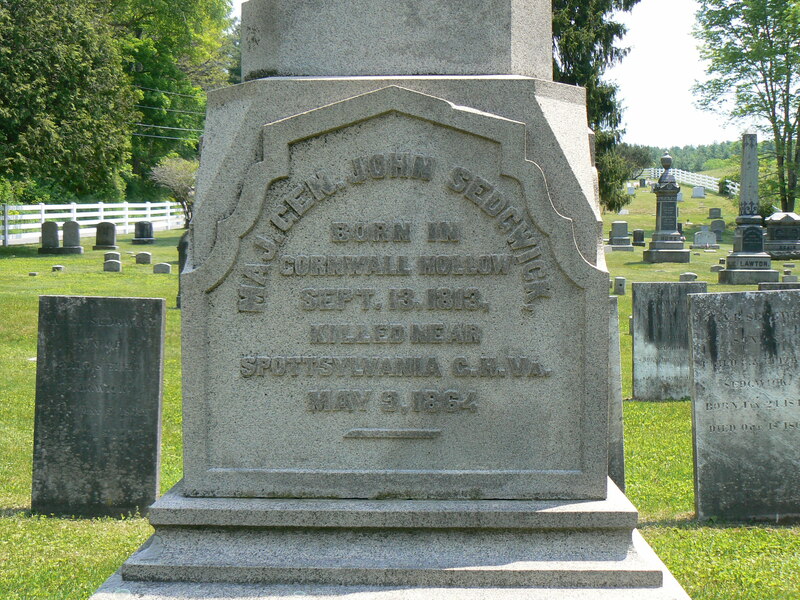 Along Route 43 in Cornwall Hollow lies the grave of one of the highest-ranking Union generals killed 150 years ago in the Civil War, Major General John Sedgwick. 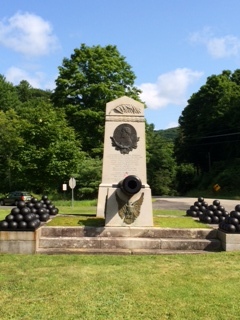 The battles of the Mexican War in which John Sedgwick participated, from the monument in Cornwall Hollow. 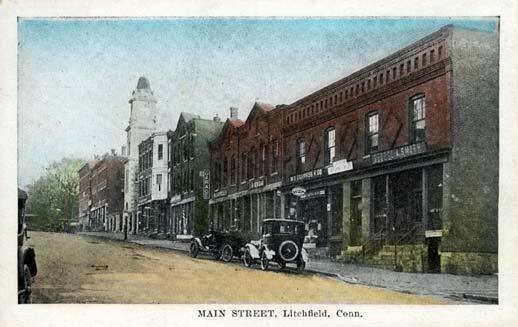 Sedgwick was born in Cornwall Hollow on September 13, 1813. From a military family, he enrolled at the United States Military Academy after attending Sharon’s one-room schoolhouse. Graduating from West Point in 1837 he fought in the Seminole War and the Mexican War. While serving on the Kansas plains in the 1850s he received word that his family’s Cornwall Hollow home had been destroyed in a fire. He took leave from the army to build the house that still stands near his grave. Sedgwick’s star rose rapidly after the firing on Fort Sumter. 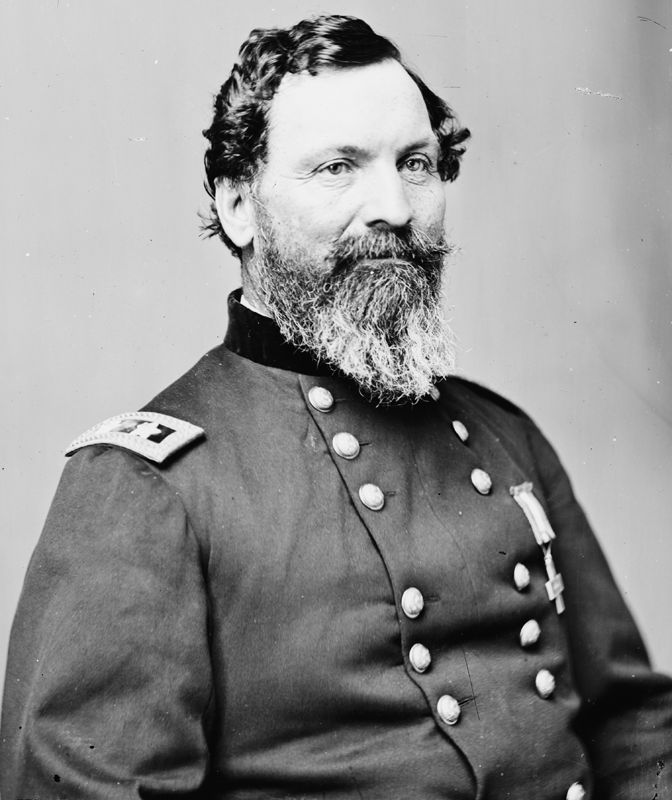 He was commissioned a brigadier general, then was promoted to command a division and ultimately the Sixth Corps of the Army of the Potomac. He was beloved by his men, who called him “Uncle John.” One of his soldiers described him as “an old bachelor with oddities, an addiction to practical jokes and endless games of solitaire.” He fought at some of the war’s most famous battles: Antietam (where he was wounded three times), Chancellorsville, Gettysburg. 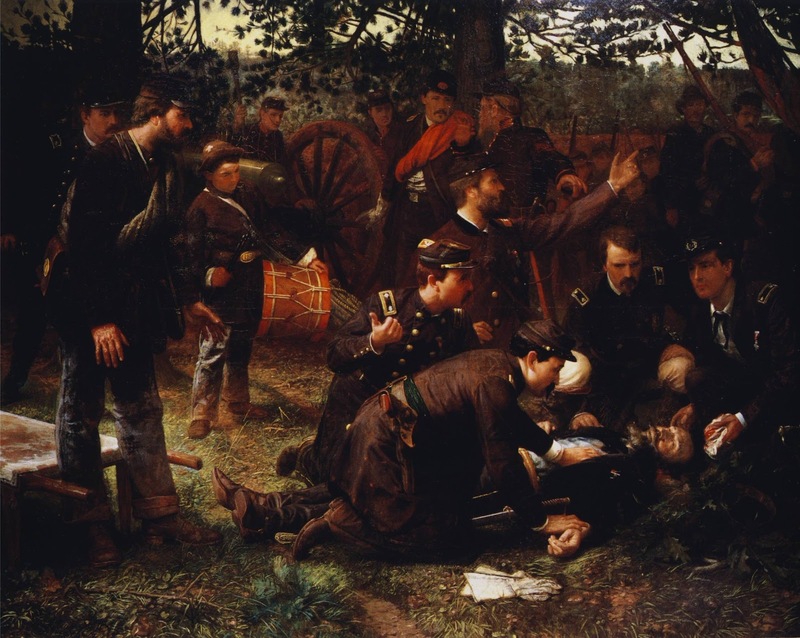 “The Death of General Sedgwick, Spotsylvania, May 9, 1864” by Julian Scott. Commanding his corps at Spotsylvania Court House on May 9, 1864, Sedgwick was surprised to see his men dodging the fire of a distant sharpshooter. “What, what!” he proclaimed. “Men dodging this way for a single bullet? What will you do when they open fire along the whole line. I am ashamed of you.” Laughing, Sedgwick announced, “They couldn’t hit an elephant at this distance.” Almost instantly a bullet struck “Uncle John” just under the left eye. His lifeless body fell into the arms of his chief of staff. 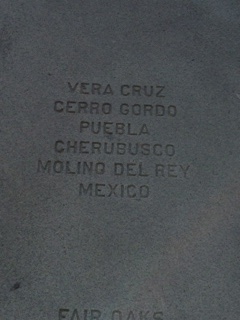 This entry was posted in History, Uncategorized and tagged Civil War, Gettysburg, Spotsylvania by pvermily. Bookmark the permalink. Side Bar Art History Note: Julian Scott, the painter of ‘The Death of General Sedgwick’ learned his craft under the tutelage of Emanuel Leutze, painter of the iconic ‘Washington Crossing the Delaware’. She went on to write about the spring cleaning. I believe my brother, Ernest Barker, has the original, or it may be in the files of the Goshen Historical Society.